I got to thinking about remembering and memory during this late night discussion with my muse. A note on my muse: She’s my unofficial editor, in the sense that she remains unpaid except for friendship. Her edits are less practical and more effectual. Her suggestions maintain the “flow” of my work, or its overall thematic integrity. When we talk about practically anything, one or both of us serve as sounding boards for the other’s ideas. If we’re not sound-boarding one another, then it’s ideation station. Remark after remark strikes spark after spark, until ideas ignite from ember to blaze. Although she’s asked for whole pieces, I typically spit out whatever soundbites fly by my mind as we converse. This particular discussion was no different. The late night, our idea-heavy rapport, and a bit of wine added up to one productive, strange exchange. We’d been discussing boys and the unusual way their actions stick in your mind. I tangentially connected this to a people I’m cultivating in my novel. Their particular environment suited our conversation, especially in the way they store and share knowledge. My dear friend and I talked about the different ways memories form. My brain jumped into the land of fiction, adapting our dialogue into a setting for a particular people. These people are cavern dwellers. Knowledge, communication, and memory are keystones for their culture which are inherently present in their homes. As I described this to my friend, I thought of caves and their various inner consistencies. In my past experiences, they are wet, cold, and occasionally colorful. Undeveloped memories are undulating stone, like the ripples of a giant whale’s mouth. Walls drip a viscous, gleaming substance not unlike saliva. Moisture flows down the walls, gently frothing as sea foam or soapsuds. Bands of varying color refract upon the cavern’s sides. They run together, oil on water. Golden moments slide into neon, evergreen excitement, eddying away to woebegone, blue-gray currents. Fatuous pinks and romantic reds blossom, swirling into solar tangerines. Orange sets into muricidaean purples of once and future majesty. Each vibrant, whirling hue shows the sand in the oyster. The pre-opalescent substance taunts with a rising tide of certainty before rapidly receding into another shade, another coalescing memory. This primordial concoction of goniochromism drips down, running across the floor and into another room. As it travels, roiling and churning, it produces bubbles fit to burst. These shimmering beads begin to harden. No longer softly swirling, the increased speed of the current fractures the prismatic hues. As they split apart from the mainstream, they begin to harden into multi-faceted permanence. Some shades cling together, immediately crystallizing upon the floor. Others follow the uneven slopes of the cavern floor, settling onto piles of already fixed memories. As the still-forming mnemonics cease roiling, they congeal before entirely calcifying. This produces jagged crystal columns, some as high as the cavern ceiling. These solidified experiences faintly glow. The dullest, most opaque recollections form the base of these stalagmites. The freshest ideas shine brightest, clearer and closer to their original source. Crystallized memories are multi-dimensional, reflecting whatever shades of recollection are fixed together. Merimnite or memorite contains several unique strains of experience. Some past remembrances do not blend but once every century, resulting in unique refractory patterns. The dullest merimnite is typically never revived, as the original memory pathway has disintegrated. Although the crystals still catch the light, they mirror it more than anything else. Newly formed merimnite functions best. Images are clearly displayed on the translucent surfaces of each formation. Larger columns often display multiple images pertaining to the same person or experience. For example, a larger, tyrian-tinged piece of merimnite may portray an entire dynastic history or the various lives touched by a particularly benevolent or tyrannical ruler. Smaller formations may display one person’s face, perhaps varying expressions of said individual and no more. 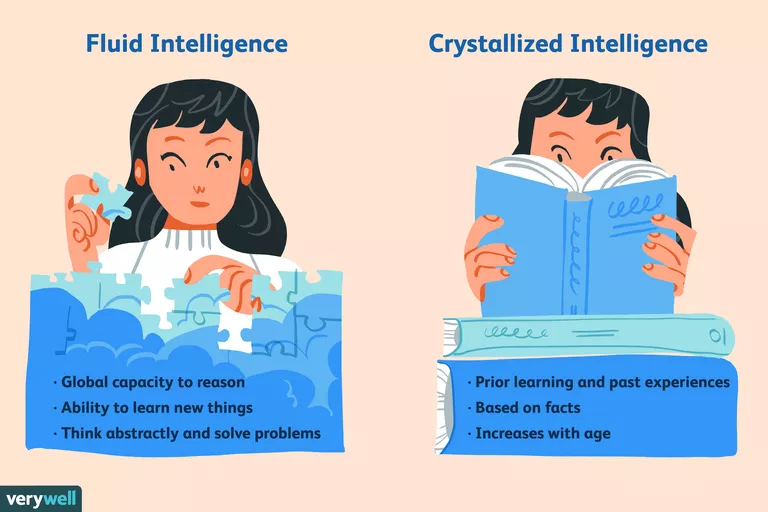 These fictionalized descriptions of memory formation play strongly off of the two types of intelligence identified in psychology, fluid and crystal intelligence. As my editorial muse listened to my rambling description of caverns of memory, I somehow forgot about these forms of intellect. Due to my forgetfulness, as well as my urge to properly flesh out a prominent setting in my novel, I answered a few what if questions about a physically tangible mind palace. If you’re unaware of what a memory or mind palace is, it’s been studied in the social sciences as far back as the 1960s. Apparently, Greco-Roman orators such as Cicero used these mind palaces to retain their eloquence (Bower, 1970; Ross & Lawrence, 1968). Recently, a BBC adaptation of Sherlock Holmes popularized the mind palace. The protagonist often enters it during a heavy bout of deductive reasoning. Technically speaking, memory or mind palaces are a vernacular fabrication to help visualize the intricacy of memory artifice. The ancient, classical terminology titled these as loci, which is Latin for places (Bower, 1970). Modern social scientists call use the term method of loci to identify mind palaces (Ross & Lawrence, 1968). Essentially, your mental construct contains visualized representations of a well-know place. You connect whatever you wish to remember with a portion of the visualized space. Whether it’s a particular thought, item, talking point, person or so on, it must have a visual connection to your mind palace. D’Esposito (2007) updates these rhetorical frameworks into neurocognitive ones, highlighting the neural studies which support the integrity of visuospatial memory artifice. He specifically examines working memory for goal-oriented behavior, determining that cortical regions process stimuli relevant to the type of encoded memory (D’ Esposito, 2007). For example, when tasked with remembering a face, visually associated parts of the brain light up on an fMRI. Essentially, his paper serves to unite the theoretical and biological, measurable effects of previously studied theory. If you were to cultivate a method of loci, focusing on verbal or visual memory objects would use different parts of your brain, potentially in tandem. Bower, G. H. (1970). Analysis of a mnemonic device: Modern psychology uncovers the powerful components of an ancient system for improving memory. American Scientist, 58(5), 496-510. D’Esposito M. (2007). From cognitive to neural models of working memory. Philosophical transactions of the Royal Society of London. Series B, Biological sciences, 362(1481), 761-72. Yates, F. A. 1966. The art of memory. Chicago: University of Chicago Press.